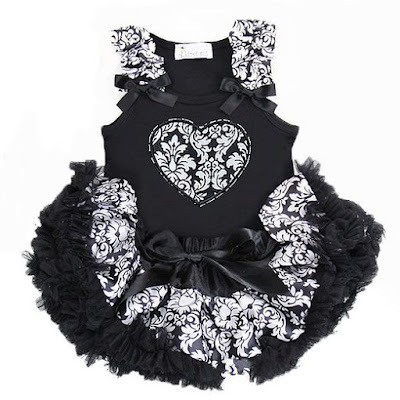 This ruffly damask outfit is a tunic and shorts set. I love the ruffles and polka dots on the shorts! 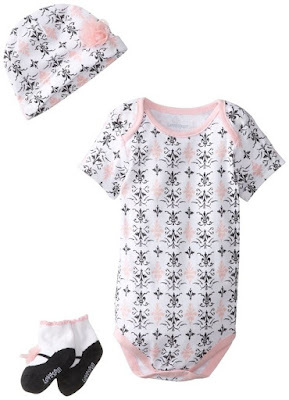 For moms who aren't quite ready to goth up the baby just yet, here's a nice damask sleep sack in a soft pink but with a hint of black. I prefer this damask onesie because the black is more pronounced. 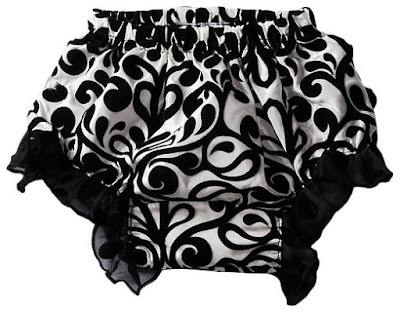 Pair these damask bloomers with a black bodysuit or a black onesie. 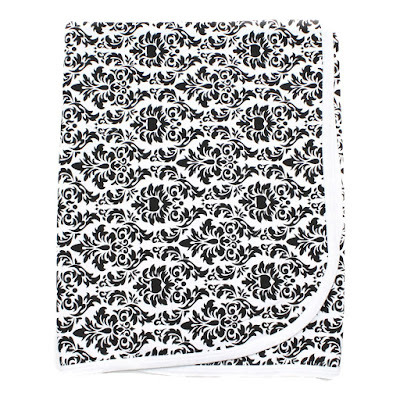 Wrap your baby in this beautiful damask receiving blanket. I can't decide if this tiered damask and lace romper is obnoxious or adorable. 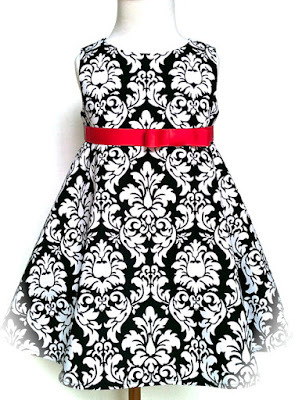 Here's a tiered damask dress I like a lot better. 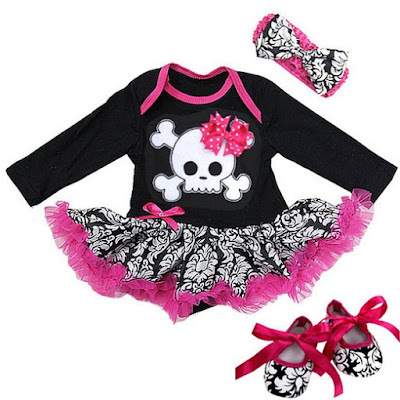 This one's got it all for the budding goth girl: hot pink, black, damask, and a skull as well as a ruffly tutu! 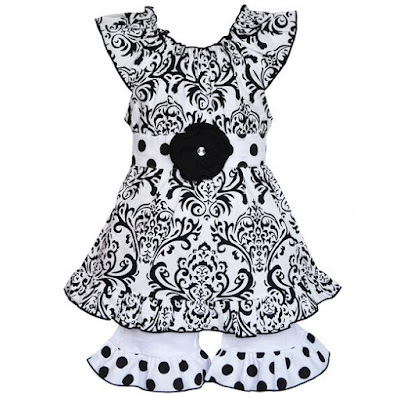 This damask bodysuit comes with a matching flowered damask beanie hat. 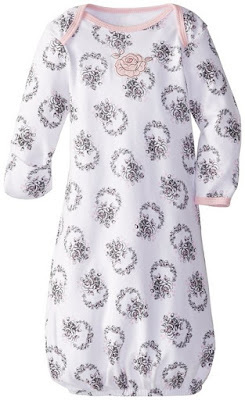 Here's a more formal damask dress for Easter churchgoing or Easter brunch with the grandparents. 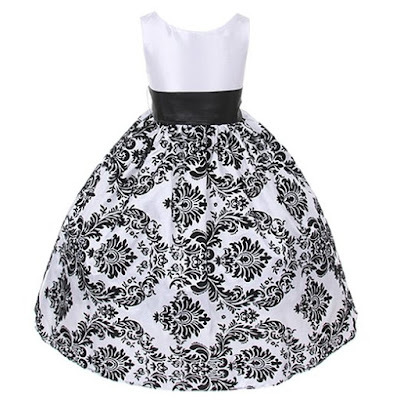 Here's a darling black and white damask pettiskirt. 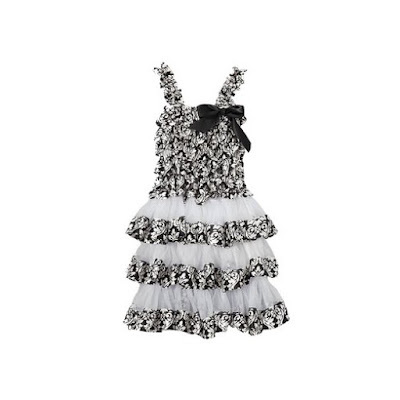 This damask dress comes in toddler sizes. Here are a cute pair of damask baby shoes to match some of the outfits, too.